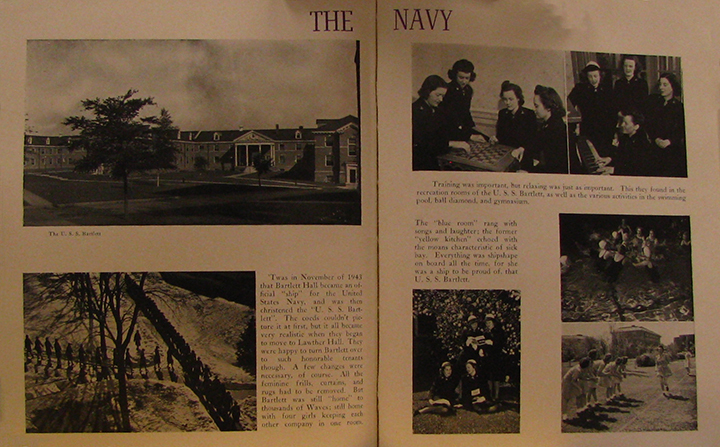 The Old Gold dedicated two, two page spreads to the work of the Navy at Iowa State Teacher’s College. The yearbook began with the first days the WAVES arrived in November of 1942. The yearbooks come from the archives and special collections at the University of Northern Iowa.